What is Hard Fork in Cryptocurrency? Blockchains are complex beasts. They are constantly growing, evolving, and adding new features. And the process is democratic. Everything is based on consensus. Blockchain technology is relatively new, so there are still unforeseen scenarios arising each and every day, and some of these new issues might require a fix. Every new feature, security fix, or added functionality requires a sort of vote. Though many are controversial by nature, these changes to the protocol and the voting system that validates the changes are part of what makes blockchain technology decentralized. When a protocol change is on the table, developers will often set a date in the future, allowing the community time to campaign or express their opinion on the subject. And when the time comes to make the change, the blockchain will go through a process called a fork. There are two primary types of forks – a soft fork and a hard fork. A soft fork is a change in the protocol that works retroactively on the blockchain and normally does not require the blockchain to split. That is because these changes are mostly cosmetic or functional and do not affect the structure in any way. After the new rules are implemented, the same chain continues and the miners who are not complying with these new rules will not be able to verify the blocks, forcing them to adapt to the new rules system. The most notable example of a successful soft fork was the so-called "Segregated Witness" (SegWit) addition that occurred at the end of 2017. Although it was still highly debated, miners favored its implementation extensively. The SegWit soft fork was a solution to many emerging Bitcoin problems. In addition to increasing the number of transactions per block, SegWit fixed a minor problem that did not allow developers to create the second layer protocols and smart contracts, ushering in a new wave of ‘off-chain’ solutions such as the Lightning Network. While soft forks are not likely to result in a chain split, hard forks operate a bit differently. Hard forks occur when the proposed changes add new features to an existing blockchain. For example, Bitcoin has a 1MB block size. Reducing that block size to 500KB could be done under a soft fork but increasing the block size to 2MB would require a hard fork. With the soft forks, the most all previous blocks are still compatible with the previous ones, but with hard forks, those blocks become invalid, resulting in an entirely new blockchain. While the new blockchain does possess a different ruleset, it still recognizes the transaction history of the old blockchain, meaning that every user who was holding cryptocurrency on the original blockchain will now have the same amount of cryptocurrency on the new blockchain. Going back to consensus, hard forks can fall into two separate sub-categories. - planned hard forks and contentious hard forks. A planned hard fork occurs is an upgrade which holds a high-degree of consensus from miners and community members. These forks are typically agreed upon and face little resistance. The result is that the old chain simply dies off while the new chain flourishes, with miners and users alike favoring the new changes. Most of the time, the new chain will even keep the same name as the old chain. A prime example of a planned hard fork is Monero’s 2017 chain split which added the Ring Confidential Transactions feature, an addition which obfuscated the value of each transaction, adding another layer of privacy to the blockchain – a feature which miners and the community welcomed with open arms. 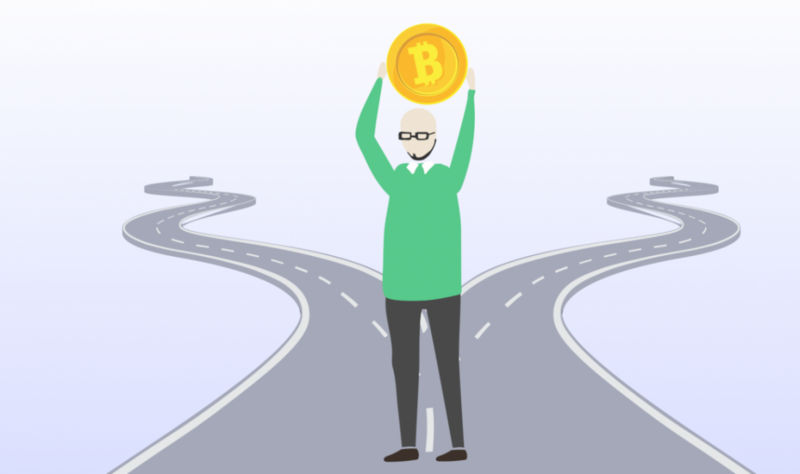 Unlike planned hard forks which receive support from the majority of the community, however, contentious hard forks are often the source of high-profile debates within the community. Contentious hard forks are also upgrades, but these upgrades or new features aren’t agreed upon by a large majority. Because of this, hard forks often result in two separate blockchains, the original and the new blockchain which will both live on as long as they have support. The most well-known and controversial contentious hard fork is the bitcoin cash chain split of 2017. This occurred when a group of developers sought to increase Bitcoin’s block size from 1MB to 8MB in order to help the blockchain address issues with scaling. Many in the community, including the legacy chain developers disagreed with this move, instead opting for other solutions to address scaling issues. When the fork occurred, the Bitcoin blockchain was split into two parallel chains with two separate sets of rules. This led to a brief moment of chaos wherein miners bounced back and forth between each chain, attempting to determine which would be the most profitable to mine in the long term. Regardless of what kind of fork occurs, these changes in a specific blockchain’s ruleset are part of the growing process. In order to remain decentralized, these forks are a necessary feature which will ultimately determine, via a democratic process, the future of a blockchain. Because these features will shape the path of a specific blockchain, it’s always important to stay informed and vocal about the process. Being a part of the cryptocurrency community means that your voice matters, and even if you are not a developer or miner, you can still have an impact on the destiny of your favorite blockchain.